Rules? Where we’re going we don’t need rules. 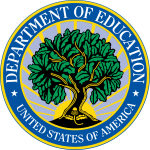 You are here: Home / Charter Schools / Rules? Where we’re going we don’t need rules. According to the Felony Complaint against Refugio (Ref) Rodriguez, he and his cousin allegedly conspired in a scheme that hid the source of almost $25,000 in campaign donations from the public. While a lawyer involved in the case maintains that this is “a small amount of money”, the amount donated by each of the listed donors has raised suspicion since the time of the original filing. 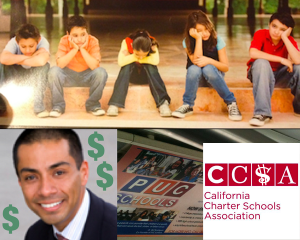 As noted by KPCC in an article dated February 5, 2015, “Rodriguez collected $21,000 in campaign donations from employees of his charter school network, Partnerships to Uplift Communities” including “a handful of his workers – a janitor, maintenance worker, tutor — [who] are donating at or near the contribution limit, $1,100.” Rodriguez insisted at the time that “the employee contributions weren’t coerced and will not be reimbursed”, but the District Attorney charged both the Board member and his cousin with “25 counts of ‘assumed name contribution’” for allegedly using Rodriguez’s own funds to pay back the donors. While it is not illegal to lie to the press, lying on a campaign contribution report will subject you to a felony charge of perjury. If convicted of the charges, Rodriguez will have earned a place in the Stupid Criminal Hall of Fame. As his lawyer notes, “candidates fund their own campaigns often” and the law provides no limit to the amount a candidate can donate or loan to his or her own campaign. Therefore, the alleged tactics of money laundering were not needed to circumvent campaign donation limits. 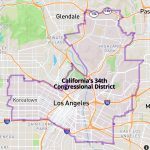 Instead, they allowed the candidate to claim a level of community support that did not exist: “I know for many of them this is a tremendous sacrifice,” he told KPCC. “It’s just been sort of an outpouring of folks belief in me and what we are trying to do for the city.” The only problem is that there was no “we”. All of the money is alleged to have flowed through Rodriguez’s mother’s checking account, originating with the former Board President’s personal funds. It is interesting to note that in responding to the charges against him, Rodriguez has avoided any claim that he did not engage in the alleged activity. His press release refers to the charges as “issues” that says that he hopes they “will be resolved expeditiously and fairly.” This sounds like someone more concerned with limiting the punishment than proving his innocence. His co-defendant’s lawyer went further stating that this “is much ado about nothing” referred to the charges as a “harsh and draconian response to a fairly minor alleged transgression” and said they are “surprised this has risen to the level of a criminal prosecution.” Does he think that his client is innocent or just above the rules? Given the defendant’s ties to the charter industry, these responses are not surprising as charters seem to use the same modus operandi when caught engaging in wrongdoing. For example, even as Celerity Exa Charter School surrendered their charter after being closed by the Pasadena fire marshall for being “dangerous and unsafe”, the CEO continued to maintain “that the site was safe and appropriate for use by our students”. As the Los Angeles Daily News prepared to release the first in a series of articles exposing personal spending on the school’s credit card, the school sent an email to parents warning that “because of the nature of the reporter’s questions, and his lack of interest in anything positive about the school, we believe this article is being crafted in a way that will put ECRCHS in a negative light”. 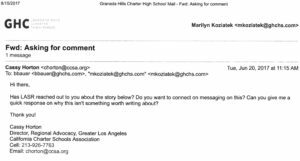 When asked for a comment by a reporter researching a story about enrollment violations at Granada Hills Charter High School, the California Charter School Association (CCSA) says that they “told him that this is a non-story and that [they were] not going to comment.” They also told the school that they “probably shouldn’t bother either.” Pay no attention to the man behind the curtain and his flagrant violations of the school’s charter. Can we tell you about our Academic Decathlon wins instead? Unfortunately, the millions of dollars they have spent on elections has allowed the CCSA to back up these slight of hand excuses with a lack of enforcement at the local, county and state levels. However, the charges against Rodriguez show that they do not own all levels of government. For once, someone will finally answer for a culture where the ends justify the means and following the rules is for suckers. 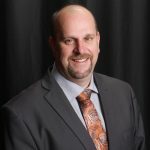 Carl Petersen is a parent and special education advocate, elected member of the Northridge East Neighborhood Council and was a Green Party candidate in LAUSD’s District 2 School Board race. 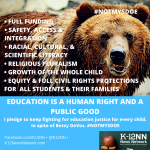 He was endorsed by Network for Public Education (NPE) Action and Dr. Diane Ravitch called him a “strong supporter of public schools.” His past blogs can be found at www.ChangeTheLAUSD.com.